the scan is good, background is good too..
Ooo, very nicely dome! I like dark colors and this is perfect! Like the scan too! Good job! Keep up the good work & thanks for sharing! O.O She looks spooky! I can get nightmares! I think the simplicity of the picture is nice, and I agree that anything else would make it seem cluttered. I love the way how you made her stand on "water". wow it looks really amazing! The background and the effect is nice and great ! 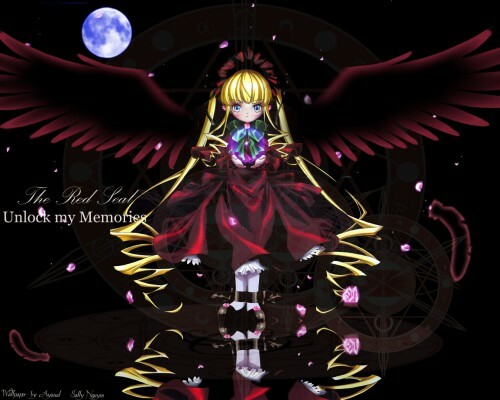 The color is too dark but fit with Shinku ! Nice wallie ! 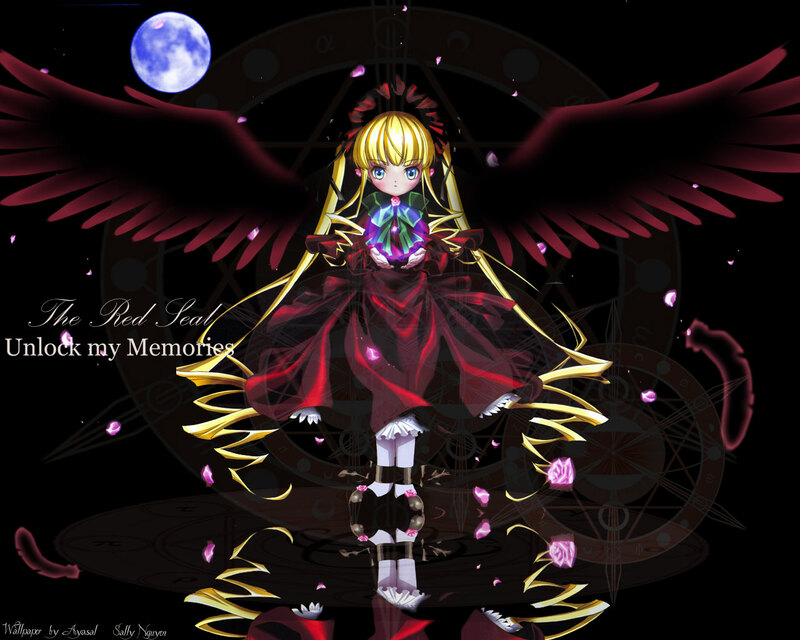 This one is really really nice..I ike the drawing and the bg is great..COlors u used are great too..One of my favs!